Back to the 80s: K is for Kids in the Kitchen. If I was having a tough time coming up with band names for last month, it’s nothing compared to this months challenge for the letter K. I could only come up with one – yes, one! – that really stood out. And they are once again, another Aussie band. Kids in the Kitchen were formed in Melbourne in 1983 and their debut single ‘Change in Mood’ reached No.10 in Australia later that same year. The following year, they were nominated for ‘Most Promising New Talent’, as well as ‘Best Debut Single’ at the Countdown Music and Video Awards. 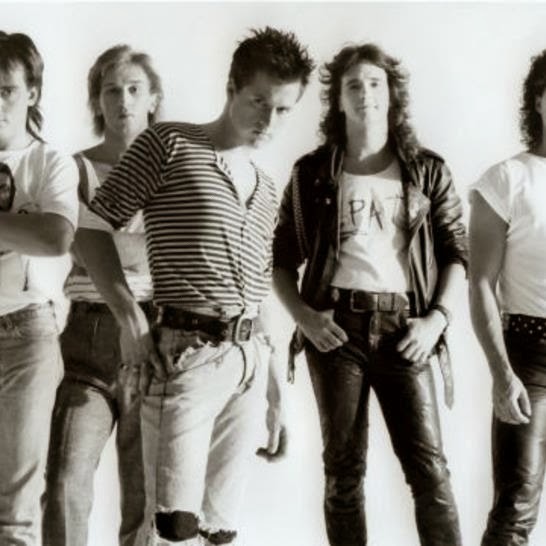 In 1985, they released their debut album Shine, where the single ‘Current Stand’ became a hit overseas and reached No.12 in Australia. Their second album, Terrain was released in 1987, which failed to chart. Unfortunately the group could not emulate their earlier success and broke up in 1988. Other bands formed or who had hits in the 1980s starting with the letter K include:- Kajagoogoo, Kraftwerk, Kool and the Gang. What other bands of the 1980s that begin with the letter K can you think of? Next Post When Do You Know Your Story Is Ready?